THESE ARE YOUR KEY CONCERNS & OUR PRIMARY FOCUS! Unlike many others in the industry, our property managers are the owners of the business, on call whenever required and always ready to go the extra mile. What that means to you is that you get our ‘hands on’ professional day-to-day management of your property in person, every day. Your property stays in the care of those with a vested interest in maximising your property’s return on investment. Our mission is simple – to provide premium property management at a fair, all-inclusive, fixed price. Easy to use smart apps and technology make it possible for you to have access to your property information 24/7 and our full-service, fixed-price philosophy, ensures everything is taken care of and there are no suprises! How much $$$ could you save? Our fixed price fee of $240 / month +GST is one of the best management prices in Wellington. On top of that we guarantee no sneaky extra fees. Should rent not be received, our account monitoring software alerts us on the day. Tenants are contacted immediately and arrears managed. At Nest Property we believe property management is a fixed service and we think investors should be paying a fixed price. Having a fixed fee structure allows you to plan ahead, work out what your yield is and make decisions about your property investment with hard facts. Our pro active approach means we inspect properties regularly and report any issues straight away. Our online Landlord Portal means you’ll know what is happening at your property at any time. At Nest we don’t just take on any property. We have a strict quality control on any new management. Properties under our management should look and be treated like homes, not rentals. As part of our commitment to your investment’s success, each property is appraised at renewal and portfolios are reviewed annually, ensuring you enjoy the maximum return on your property. Rent is collected promptly and paid into your bank account fortnightly. We use industry leading, cloud based property management software, providing you with the very best financial statements and tenancy information at your fingertips. 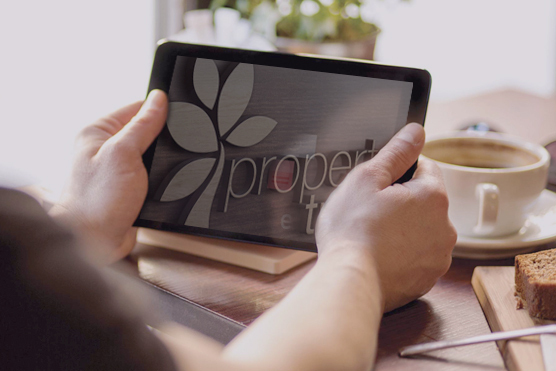 It’s important to be able to check on your assets, so it makes sense that you would choose a property manager who is forward thinking and digitally savvy, offering you an online portal with total visibility over your property.